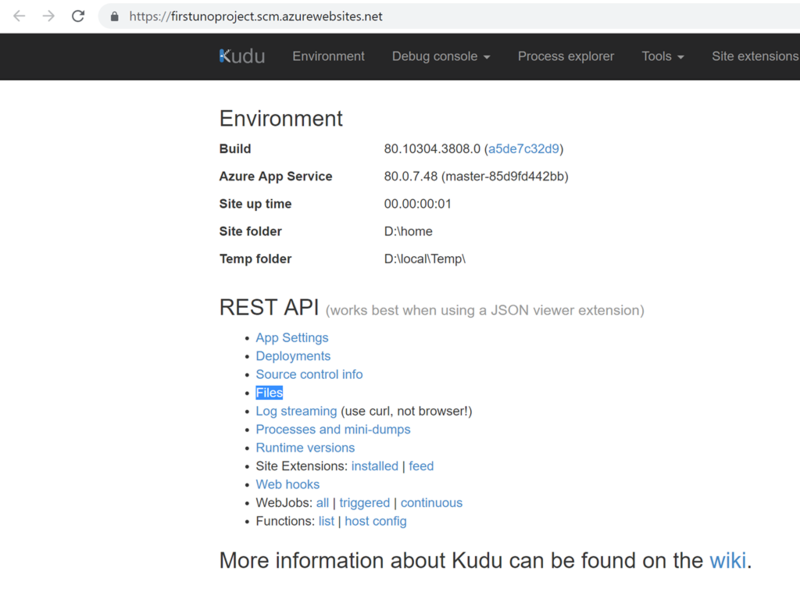 I figured that since I had Uno working in WebAssembly locally on my machine that I’d try publishing it out to an Azure App Service. 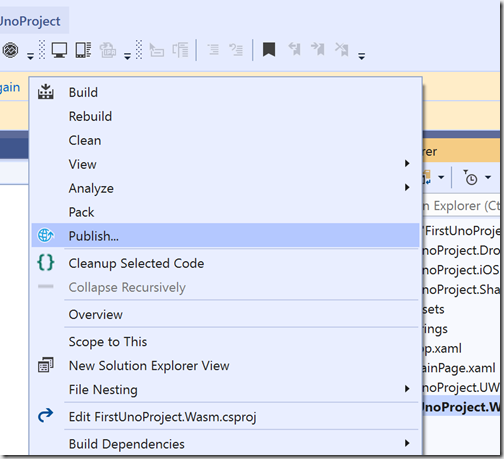 I mean, how hard could it be since Visual Studio recognises that the Wasm project is a web project (nice job there team Uno!) and even gives me the option to Publish. 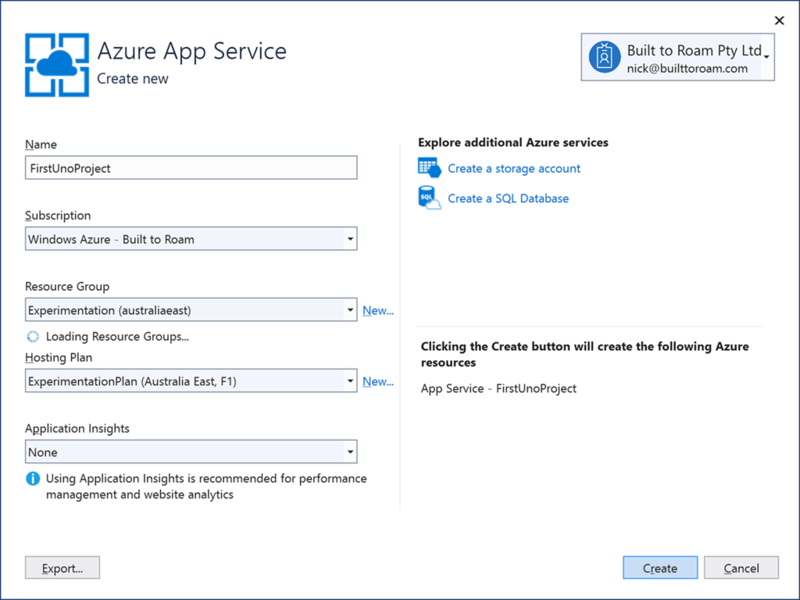 I made use of an existing Resource Group and App Service Plan that I had lying around. After hitting Create and publish Visual Studio went off thinking for what seemed like a long time with nothing happening. 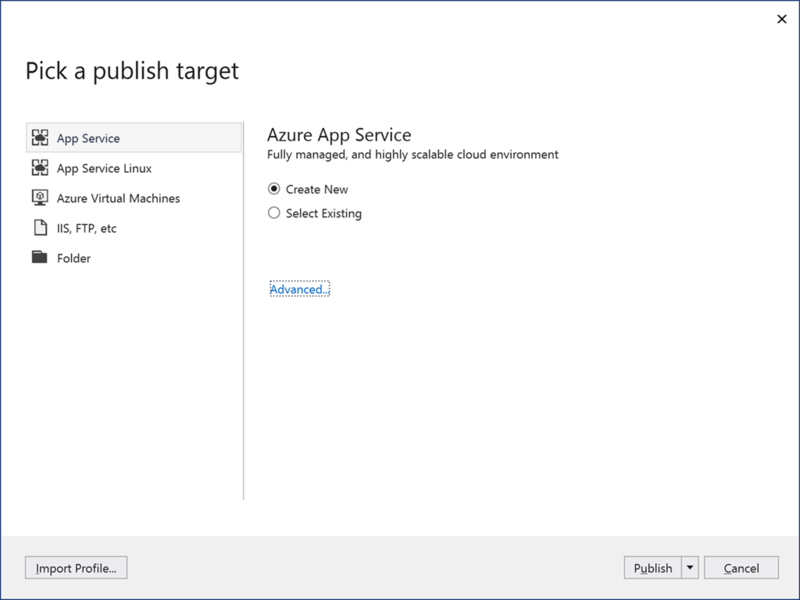 I knew it was probably busy packaging and deploying but I didn’t see anything appear in the Output window…… not surprisingly because Visual Studio pushes all the logging for the publish operation to the Web Publish Activity window. 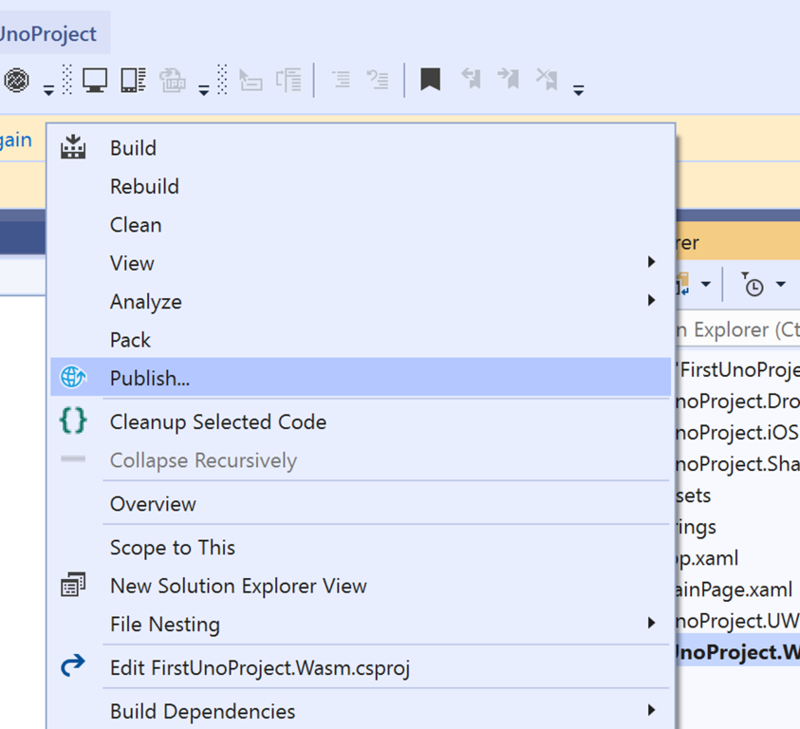 Once it was done Visual Studio launches a browser window displaying the root of the newly created App Service. Unfortunately, this is not my Uno project. After investigating a little I realised that the publish operation was uploading the Wasm project to a sub folder of the wwwroot folder within the App Service (eg wwwroot\FirstUnoProject.Wasm\bin\Release\netstandard2.0\dist\index.html). 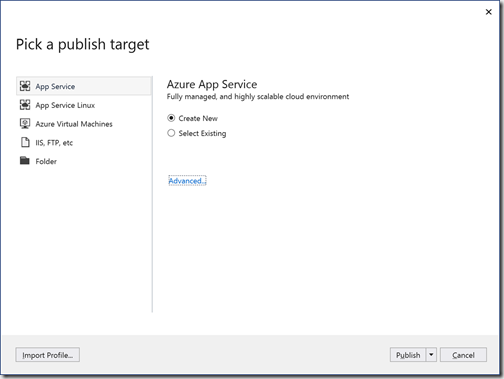 I validated this by using the Advanced Tools from the Azure portal. 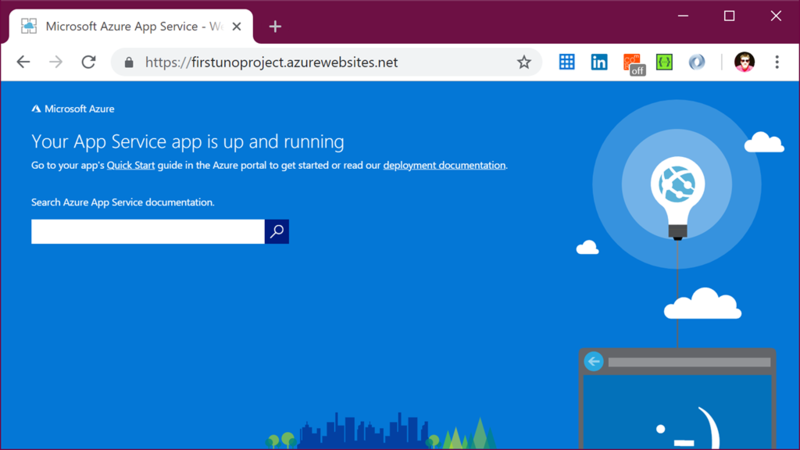 Unfortunately just adding the appropriate path to the index.html to the site url doesn’t seem to work (ie this doesn’t work: https://firstunoproject.azurewebsites.net/FirstUnoProject.Wasm/dist/bin/Release/netstandard2.0/dist/index.html). However, you can easily set up a new application to point to the dist folder. Go to Application Settings and under the section Virtual applications and directories, create a new mapping. 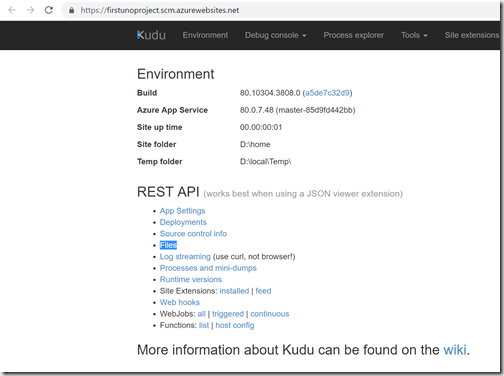 In this case I’ve mapped /uno to the site\wwwroot\FirstUnoProject.Wasm\dist\bin\Release\netstandard2.0\dist folder (you can get the folder from the “path” shown in the Kudo – Files explorer) and I’ve made it an Application. 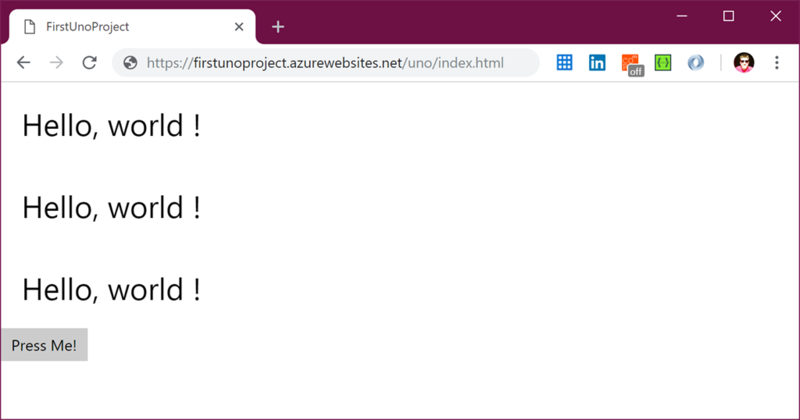 If you now attempt to go to the index.html page in your new mapped folder (eg https://firstunoproject.azurewebsites.net/uno/index.html) you’ll find that you’ll see the “Loading…” text that comes with the Uno project template but your application won’t load. If you spin up the Chrome debugging tool you’ll see that it’s not able to find the mono.wasm file with a 404 being raised. 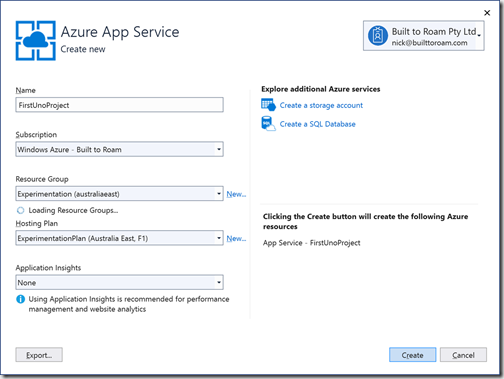 Don’t bother trying to work out whether the file exists or not because the issue is that whilst the file exists, the Azure App Service isn’t going to serve it because it’s not a known file type. Luckily there’s a simple solution. Add the following Web.config to your Wasm project and publish your application again.